There's not a feeling more gratifying in this world then hitting a new personal best at bench press while listening to 2Pac's "Hit 'Em Up." But if you've ever wanted to do it using weight training gear that the recent Rock and Roll Hall of Fame nominee used himself, you can make that a reality for a cool $100,000 USD. TMZ reports that a set of gym equipment that belonged to Death Row Records has hit the market, with the owner's asking price starting at the sum above. 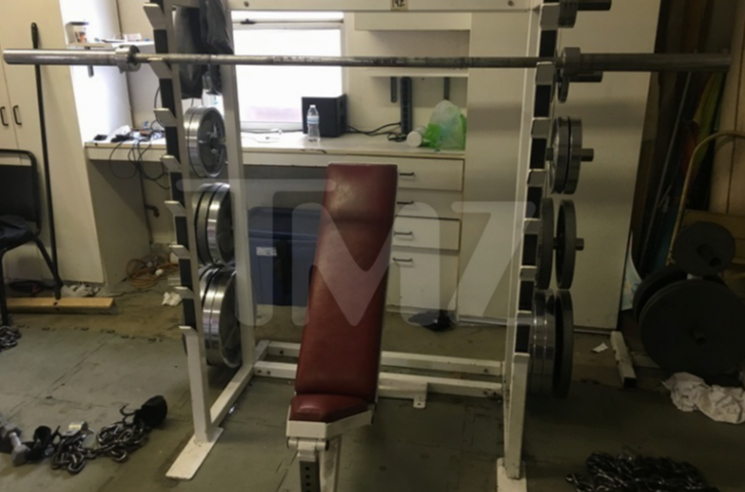 The set of gear, which includes dumbells, weight racks and a number of benches was used by the rapper in his 1995 post-prison interview on MTV, which you can watch in the player below. The site reports that the buyer initially purchased the gear for $1,166 upon the label's closure. You can see a full gallery of pictures here.